HTC's new smartphones contain artificial intelligence (AI) that can learn a user's phone habits and support them, the technology giant said. 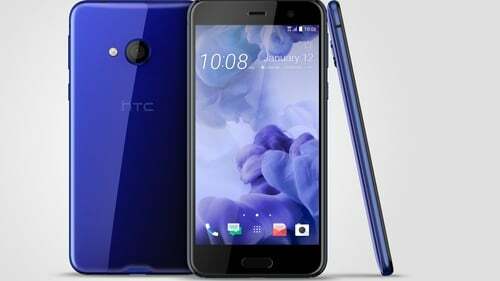 The Taiwanese firm has unveiled the HTC U Play and U Ultra, both of which house AI software called HTC Sense Companion that learns how the phone is used on a daily basis and tweaks its behaviour accordingly. The phones are able to understand which apps and contacts are most regularly used and make any notifications received from or relating to them a priority. The phones are different sizes, with the larger U Ultra also featuring a second, smaller screen at the top of the display. This is designed to stay on and offer a faster window to important notifications and other information, a feature HTC calls Priority Assistant. The U Ultra comes with a 5.7 inch display, while the U Play has a 5.2 inch screen. Artificial intelligence is becoming increasingly prominent in gadgets. Google last year launched its Pixel smartphone - which contains the AI-powered Google Assistant - while Amazon released its voice-controlled Amazon Echo smart home speaker in the UK. HTC said the Sense Companion will be able to help users save battery life by reminding them to charge the phone during the day when it spots a busy calendar, while also suggesting extra clothing and leaving more time to travel if bad weather is forecast. The tech giant said the new phones "represent a new beginning for HTC" and also feature a predominantly glass body for the first time. HTC has struggled for market share against some of its rivals in the smartphone business in recent years, particularly following the rise of Chinese manufacturers such as Huawei, who have further crowded the mobile marketplace. The firm's Vive virtual reality system, however, has become one of the leaders in the VR sector since its launch last year. The new U Ultra also features voice recognition abilities that can be used to control the device even when it is asleep, HTC said, adding it can be used to snooze or dismiss alarms as well as take or reject phone calls. The phones also feature HTC's SonicU audio technology, which involves earphones that use sonar-like pulses to analyse a user's hearing ability and adapt audio in order to best suit you. The firm said the phones will be available in four colours, including a new "cosmetic pink" finish. Three Ireland said that the HTC U Play will be available for its customers from March 1. The price has yet to be confirmed.